-Prerna S. Khatri, Saveetha University, Saveetha School of Law. The major responsibility of maintaining law and order in the country has been bestowed upon the Indian Police Services. However, in the recent times, the police services have attracted negative publicity towards themselves by faltering in their duties. Numerous cases go unreported, and increasing level of custodial deaths and torture has tarnished the image of the services. There can be various reasons attributed to such failure in execution of duty. According to the National Police Commission (1978), the most important factor responsible for non-registration of complaints is the anxiety of the political executive in the state governments to keep the recorded crime figures low so that they can claim before the public and the State Legislature that crime has been well-controlled and is going down because of the efficiency of the police administration under their charge. Also, according to another study conducted by the National Police Commission, 60% of the arrests made were unjustified which accounted to 43.2% of the expenditure of the government. There are several systematic problems that have been accounted as the reasons for deterioration in the services of the police such as long working hours, improper facilities, lack of proper equipment and training which pushes them to adopt shortcuts in the form of not registering cases, taking bribe etc. This in turn degrades the quality of our services thus lessening the faith of the public in the services. What also accounts to improper disposal of cases is the ratio of citizens to the services, i.e., India has just one civil police officer to every 1,037 Indian residents, far below the Asian average of one officer per 558 people and a global average of 333 people. [www.infochangeindia.org] Utilization of the police force for VIPs and for interference by the political parties have also drained the quality of the services. What’s left is an exhausted force with no drive to maintain law and order in the country! Time and again measures have been taken by the Central and State Government to enact police reforms but in vain. There’s an increasing need felt to reform and revolutionize the prevailing system in order to curb corruption and bring down the levels of crime. The proposed Model Police Act, 2006 is said to bring about a change in the system. 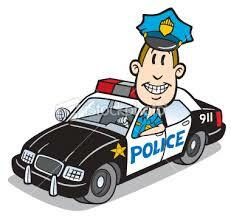 It has been enacted by replacing the 145 year old Police Act, 1861. The main aim is to develop effectiveness, efficiency, professionalism, accountability and fill the existing lacunae. [www.brpd.nic.in] However, until there is an immediate positive change in the services, the restoration of faith of the public in the services seems like a far-fetched dream. Next Article Ignorantia Juris Non Excusat!